With the win, the Sabres improved to 15-1-1 in their last 17 home games against the Maple Leafs. The Leafs haven’t won in Buffalo since Jan. 29, 2013. The home team has now won the last 11 games in this series. Matt Ellis scored his first goal of the season and added an assist, marking his fourth career multi-point game (last: March 31, 2010 vs. FLA). With two assists tonight, Brian Gionta now has 11 points (4+7) in his last nine games. It is his most prolific nine-game stretch since Dec. 2008. Matt Moulson’s goal gives him 18 points (11+7) in his last 13 games against Toronto, dating back to the beginning of the 2011-12 season. He has 24 points (16+8) in 24 career games against the Maple Leafs. Zac Dalpe scored his first goal as a member of the Sabres and is now on a career-best three-game point streak (1+2). Drew Stafford recorded three points (2+1) for the first time since March 19, 2012 at Tampa Bay (1+2). Steve Ott scored his 100th NHL goal and added an assist for his second multi-point outing in four games. With the two-point night, Ott has now recorded 10 points (3+7) in his last nine games against the Panthers. With his assist on Buffalo’s second goal, Tyler Ennis tied his career-best point streak of five games (2+4). 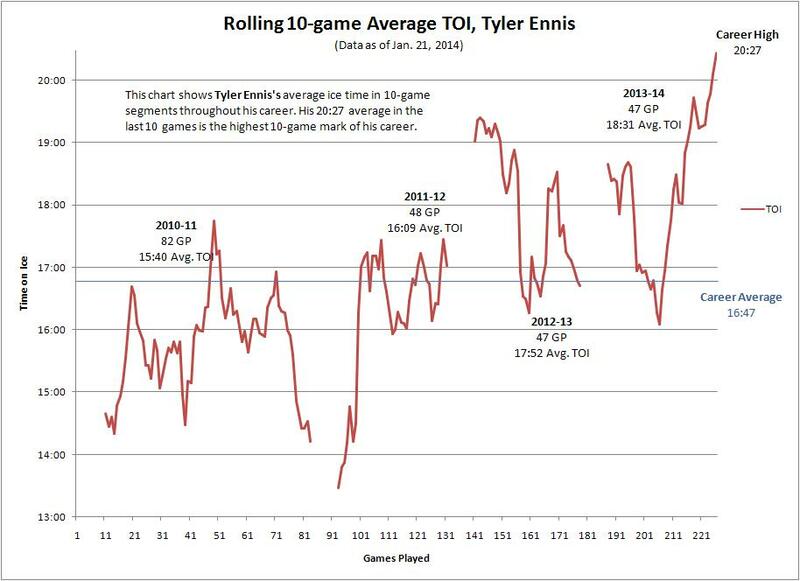 After leading all forwards with an ice time of 23:03, Ennis has averaged 21:19 TOI in the last five games, the highest five-game average of his career. Jhonas Enroth falls to 1-0-1 against the Panthers in his career (both games this season), with a .975 save percentage and a 0.96 goals against average. With his assist, Steve Ott has now recorded eight points (2+6) in his last eight games against the Panthers. The Sabres are now 6-0-2 in their last eight home games, gaining points in eight straight for the first time since they went 7-0-2 at home from Feb. 17 to March 24, 2012. Tonight was Marcus Foligno’s 100th NHL game. The loss drops the Sabres to 5-2 in the shootout this season and 55-43 all-time.